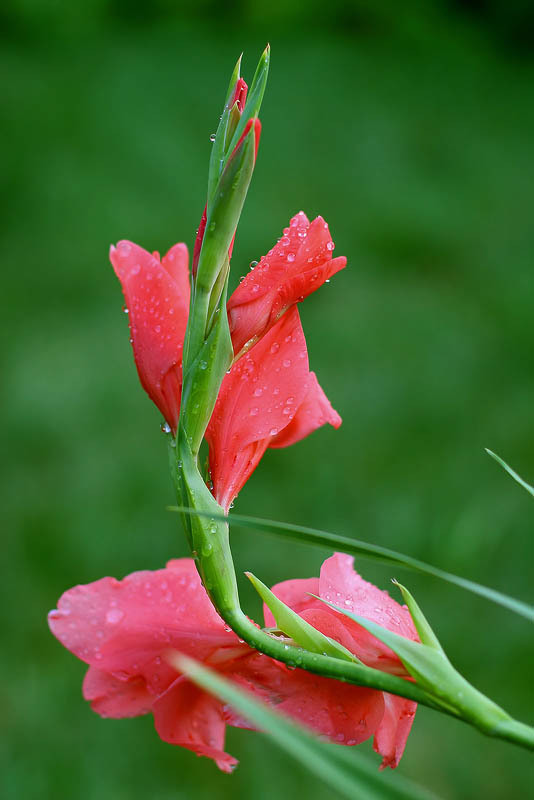 Close-up of light red gladiolus bloom with dew drops. Blossomed decorative flower. Ornamental plant with blossoms and buds. Botany, flora.